My doctoral advisee and graduate research assistant Brian Seilstad is featured in the new issue of EHE’s Inspire Magazine. 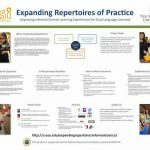 Check out ‘Supporting English Language Learners‘. 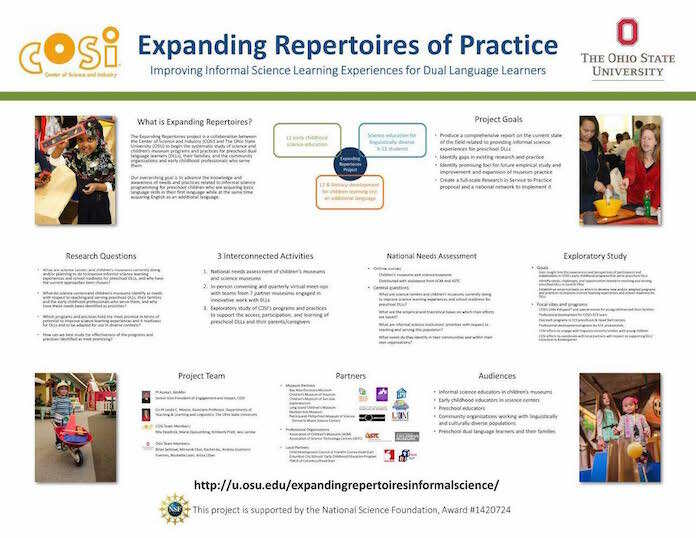 I presented on the Expanding Repertoires project at the National Association for the Education of Young Children (NAEYC) Professional Learning Institute with my colleague Marie Quisumbing (Manager of Early Childhood Initiative at COSI until recently, now with Columbus City Schools, one of our partners on the NSF AISL grant). The PLI was an amazing mix of early childhood educators – university faculty, center directors, state officials, consultants, etc.